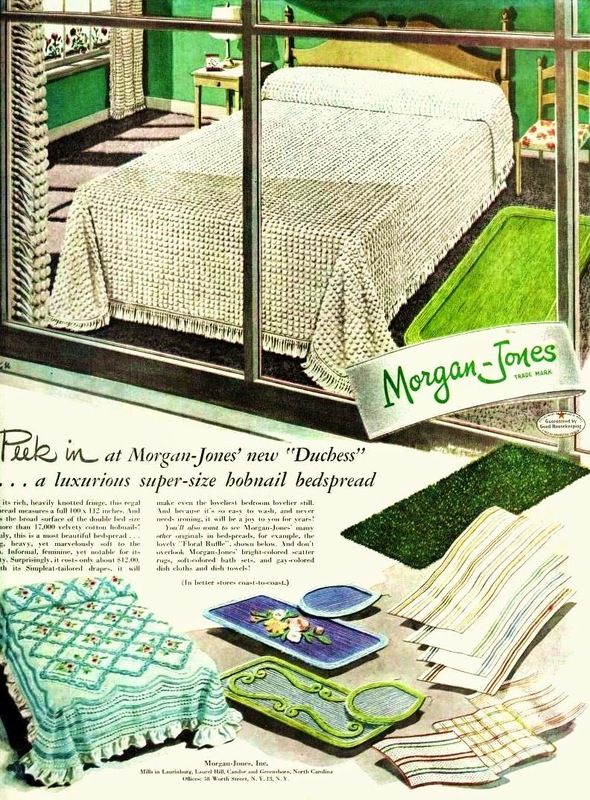 These Morgan Jones chenille bedspreads are truly a gorgeous thing to have. 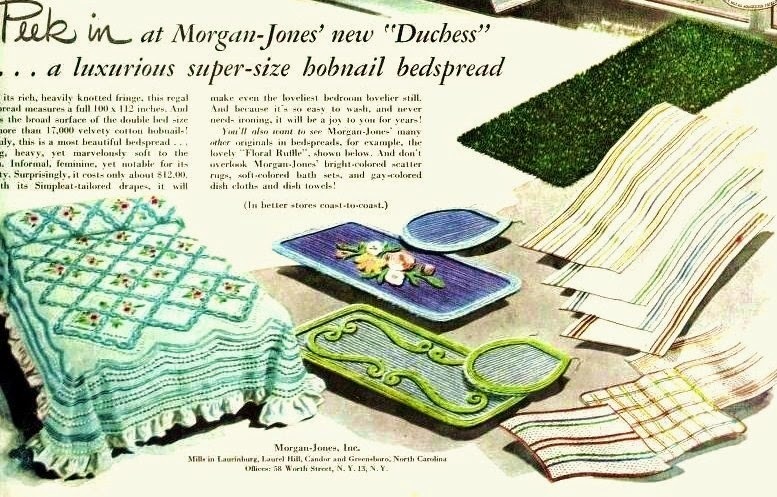 They also were makers of the hobnail style bedspreads too! 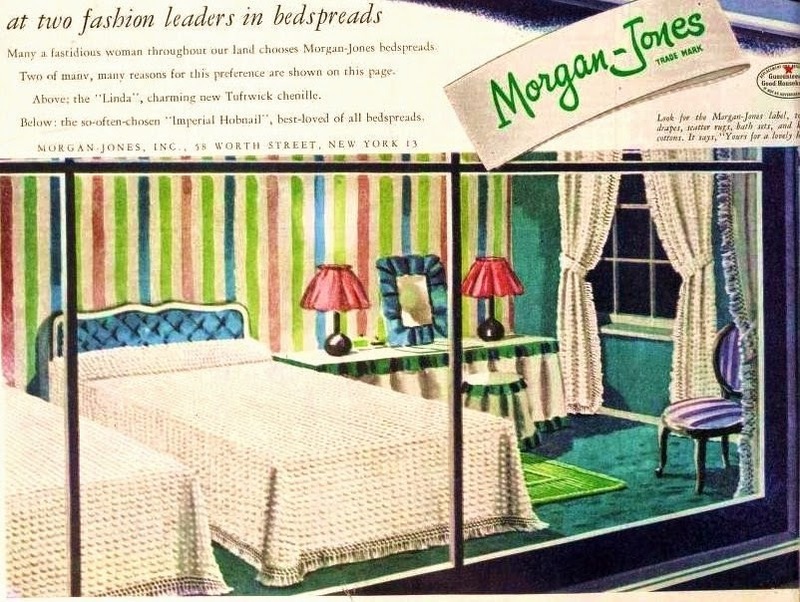 I have a couple of these bedspreads in my collection. Both of them are a pink base spread with white chenille or hobnails. These were really a nice quality linen. And really have held up over the years. 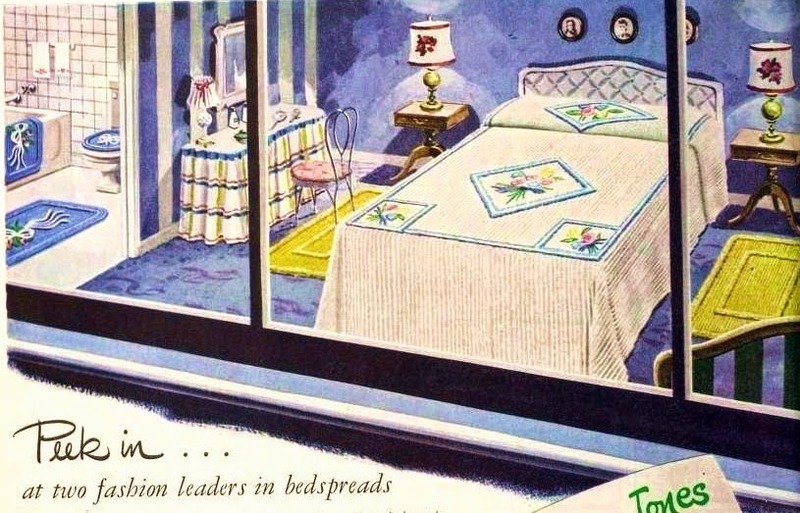 But those old hobnail bedspreads weigh a ton. Now I rarely see the old bathroom rugs. Maybe once a year I will stumble across one at an antique mall. And those are pricey rugs, if I do see them. 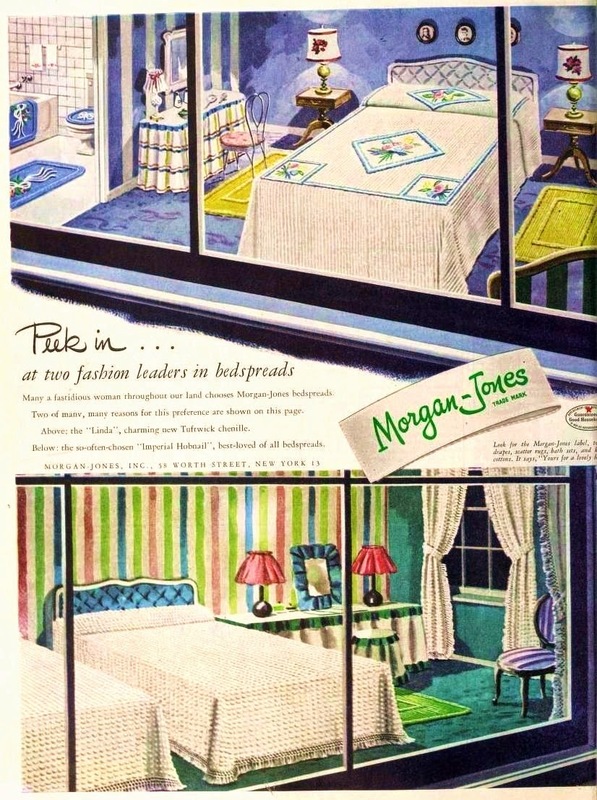 I recently saw a shower curtain that made me think of this advertisement. It is nice to see the chenille style of linens, still have a place in the market of new things to decorate your bathroom or bedroom with. I found two of these bedspreads in pink over the summer. I paid $3 for one and a whole dollar for the other. I love them!